Link Global Management can provide a full range of payroll services in Lebanon. The individual will be engaged on our payroll and income is paid in the form of salary, allowances and expenses, the proportion of each part depending on individual circumstances. Link Global Management will discuss your personal circumstances with you and help you to minimise your tax and social security liabilities, within the boundaries of Lebanese legislation. Income is managed tax efficiently, not just in Lebanon but also in any other country where there may be a liability. A tax return is filed each year in Lebanon with advice and assistance from Link Global Management who will also provide help with filing tax returns elsewhere, if required. All resident and nonresident individuals are subject to income tax on their income derived in Lebanon. However, certain individuals, such as agricultural workers, nurses and clergymen, are exempt from tax. Nonresident persons and entities without a registered place of business in Lebanon who earn business income in Lebanon are taxed on a deemed profit of the amounts received from Lebanon. The deemed profit percentage is 50% on services and 15% on products, and the tax rate is 15%. Consequently, the effective tax rate is 7.5% for income derived from services and 2.25% for income derived from the supply of products. The tax must be with held by the resident party and paid to the tax authorities. 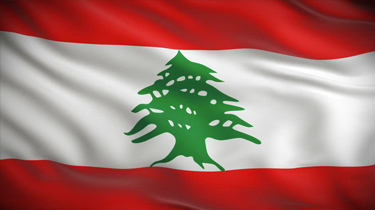 Thinking of contracting in Lebanon?